Eric Nelson was born on January 24, 1945, in Pennsylvania. He enlisted in the U.S. Army on July 26, 1963, and after completing Basic Training and Infantry Training at Fort Dix, New Jersey, and Airborne Training at Fort Benning, Georgia, he served as an Infantryman with Company A, 1st Battalion of the 501st Airborne Infantry at Fort Campbell, Kentucky, until December 1965. He then deployed to South Vietnam and served with Company A, 1st Battalion of the 327th Airborne Infantry from January to June 1966, and then back with Company A, 1st Battalion of the 501st Airborne Infantry at Fort Campbell from June 1966 to June 1967. Sgt Nelson served as a Long Range Recon Patrol Team Leader with Troop E, 17th Cavalry Regiment of the 173rd Airborne Brigade, and then as an instructor with the 173rd Jungle School, Company A of the 173rd Airborne Brigade in South Vietnam from June 1967 until he received a direct appointment to 2d Lt on July 18, 1968. He remained in South Vietnam as a Rifle Platoon Leader with Company C, 1st Battalion, of the 503rd Airborne Infantry until he was wounded in action in December 1968. Lt Nelson next attended Ranger School, the Infantry Officer Basic Course, and Special Forces training before serving as Executive Officer of Detachment B-11 and then as S-4, Company D, 3rd Special Forces Group at Fort Bragg, North Carolina, from June to November 1969. His next assignment was as Executive Officer of Detachment B-6, 7th Special Forces Group, and attached to the U.S. Army Institute for Military Assistance at Fort Bragg from November 1969 to December 1970, and during this time he participated in the Son Tay Raid, a clandestine mission to rescue American Prisoners of War held in North Vietnam on November 21, 1970. Capt Nelson served as Commanding Officer of Detachment B-6, Company B, 7th Special Forces Group at Fort Bragg from December 1970 to March 1972, followed by attending the Infantry Officer Advanced Course at Fort Benning, Georgia, from March to November 1972. 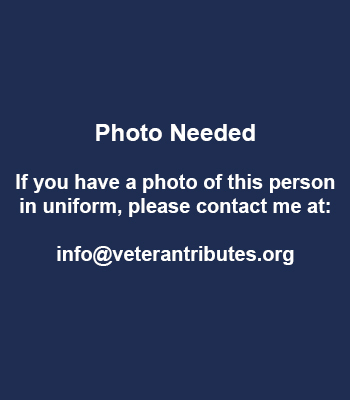 He completed his bachelor of science in sociology at Campbell University, North Carolina, in December 1973, and then served as S-3 for Air and then Motor Officer with 1st Battalion, 508th Infantry Regiment at Fort Bragg from January 1974 to June 1975. His next assignment was on the staff of Headquarters 82nd Airborne Division at Fort Bragg from June 1975 to January 1977, followed by service as Executive Officer of Company A, 1st Battalion of the 10th Special Forces Group in West Germany from February 1977 to July 1979. Maj Nelson served as Battalion S-2 of 1st Battalion, 10th Special Forces Group from July 1979 to February 1980, and then as Branch Team Chief with the Branch Assistance Team (Infantry), U.S. Army Readiness and Mobilization Region 2, where he served as a U.S. Army Infantry Advisor to the U.S. Army Reserve and National Guard at Oakdale, Pennsylvania, from February 1980 to June 1984. His next assignment was as an Unconventional Warfare Staff Officer with the U.S. Army Element at Headquarters U.S. Readiness Command, MacDill AFB, Florida, from June 1984 to January 1987, followed by service as Operations Officer for the Joint Warfare Center at Hurlburt Field, Florida, from January 1987 to December 1988. LTC Nelson served as Chief of the Operations Research Division at Headquarters U.S. Readiness Command at Hurlburt Field from December 1988 to January 1991. His final assignment was as a Special Operations Forces Observer Controller with the U.S. Army Battle Command Training Program at Fort Leavenworth, Kansas, from January 1991 until his retirement from the Army on September 1, 1992. 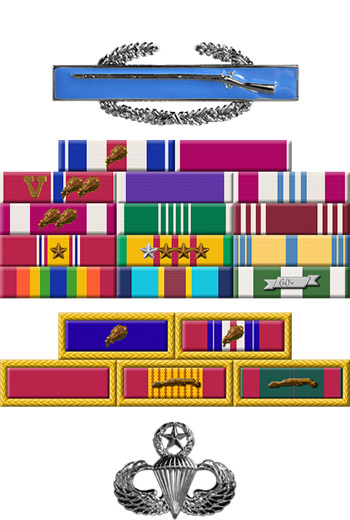 For gallantry in action on 21 November 1970 as a member of an all-volunteer joint U.S. Army and Air Force raiding force in the Joint Chiefs of Staff-directed heliborne assault mission to rescue United States military personnel held as prisoners of war at Son Tay prison in North Vietnam. This valiant effort was motivated by deep compassion for his imprisoned fellow men-at-arms, and by a strong sense of military duty and national pride. Captain Nelson, by swift action and personal example, led his element in a direct assault on the primary guard quarters, clearing the building and neutralizing that threat to the operation. He then exposed himself repeatedly to enemy small arms fire in order to cover the withdrawal of his element to the extraction landing zone. His coolness under fire, courage, and leadership contributed directly to the successful completion of the mission. Captain Nelson's conscious disregard for his personal safety, extraordinary heroism against an armed hostile force, and extreme devotion to duty are in keeping with the highest traditions of the military service and reflect great credit on himself and the United States Army.